In past years a few libraries tried to remedy these Web Component problems providing a higher level of abstraction and filling the browser's lack of support regarding some basic features. Among others, Polymer and X-Tag helped many developers to adopt Web Components in their projects. "The @stenciljs library is a building tool that facilitates the creation of web components that you can use with @reactjs and @angular." 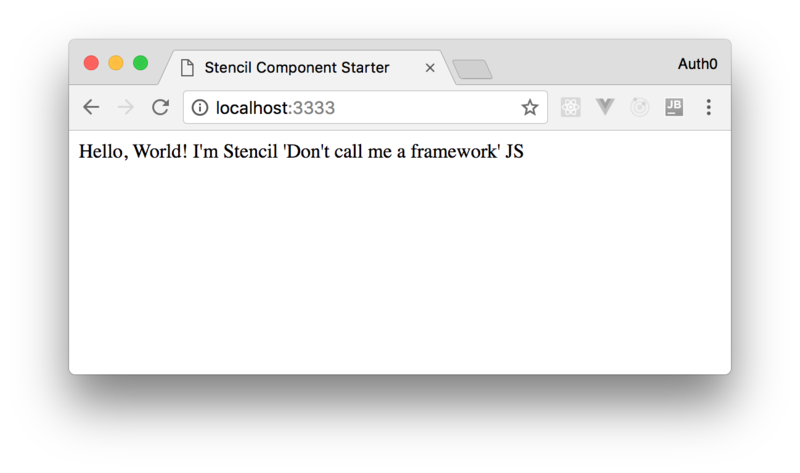 So, let's give Stencil a try and see how to build and use a Web Component. These commands clone the stencil-component-starter repository into a local folder named rating-stencil-component, then change the current folder and remove the remote repository's reference. The last command installs all dependencies required by the Node.js starter project. We are going to build our component by exploiting the infrastructure of this basic project. 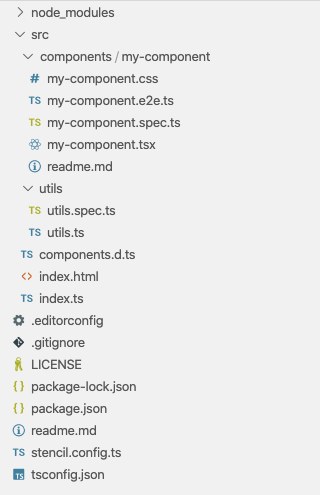 The .tsx extension indicates that the file contains TypeScript and JSX code. Actually, these are the languages used by Stencil to define the component. A Stencil component is a TypeScript class, MyRatingComponent in the example, that implements a render() method. This class is decorated by the @Component decorator, previously imported from the stencil/core module. This decorator allows you to define some meta-data about the component itself. In particular, we defined the tag name that will be associated with the component. This means that you will use the <my-rating></my-rating> element to put this component inside an HTML page. We also defined the CSS file containing styling settings for the component via the styleUrl property. The last property, shadow, isolates the internal component DOM and styles so that it is shielded by name conflicts and accidental collisions. This feature should be granted by the Web Component's Shadow DOM. Anyway, if the browser doesn't support it, a polyfill will be used. The render() method describes the component's appearance by using JSX expressions. In our example the component's markup consists of a sequence of six-span HTML elements: three of them contain the HTML entity for the full star (&#x2605;) and the other three contain the code for the empty star (&#x2606;). Note: The Stencil development environment provides support for hot reloading, so if your environment is running after an npm start, any changes to the project's files will cause its automatic rebuilding and running. This means that you don't need to type again npm start. By using this markup you are mapping the value of max-value attribute to the maxValue property and the value of value attribute to the value property. Notice how the kebab case naming style of the attribute names is mapped to the camel case naming style of the class properties. Finally, the createStarList() method dynamically creates the sequence of the stars to display based on maxValue and value properties' value. In addition, we want to set a new value when the user clicks on one of the component's stars. In order to manage this dynamic change of stars, you can assign an internal state to your component. The state of a component is a set of data internally managed by the component itself. This data cannot be directly changed by the user, but the component can modify it accordingly to its internal logic. Any change to the state causes the execution of the render() method. With respect to the previous version, this code imports the @State() decorator and apply it to the newly introduced starList property. This property is an array of objects and represents the component state that will contain the JSX description of the stars to display. Consequently, the createStarList() method has been modified so that is assigned the resulting array to the state property. Finally, the starList property is used inside the JSX expression returned by the render() method. Note: Stencil watches state and props for changes in order to run the render() method. However, it actually compares references for changes, so a change in data inside an array or to an object's property doesn't cause a re-rendering of the component. You need to assign a new array or object to the state. We added a few attributes to the JSX definition of the single star: onMouseOver, to capture the presence of the mouse over the component, onMouseOut, to capture the mouse exit from the component area, and onClick, to capture the click event on a star of the component. As per JSX semantics, these attributes are mapped to the corresponding HTML attributes onmouseover, onmouseout and onclick. Each attribute has an arrow function assigned that invokes the component's methods createStarList() and setValue(). The first one is a slightly changed version of the previous createStarList() method. Now it accepts an argument that defines the number of stars to display, and this parameter is used instead of the fixed value property. The setValue() method takes the new value, assigns it to the value property and calls the createStarList() method to generate the new list of stars. Now let's run the project and look at the browser. Unfortunately running the code written until now results in a blank page. What happens? Reviewing the code, you can see that the render() method include the starList property in its JSX expression. This property is assigned inside the createStarList() method, but who does invoke this method in the initial step of the component creation? You need to invoke the createStarList() method to correctly initialize your component. You may think to invoke it in the component's constructor, but it will have a strange behavior: its initial visualization will take into account the default values of value and maxValue properties since the list of stars will be built before the component receives the correct values from the DOM. The right moment to initialize the component should be when it has been loaded into the DOM. To use this hooks you simply need to implement a method with the same name in your component. This small change solves our issue, but another problem still remains: when a user clicks a star, the number of full stars doesn't change. Why does the setValue() method not work? We said above that a component property decorated with @Prop() acquires a reactive nature. This means that if a change to the property occurs from the external of the component, this immediately fires the re-rendering of the component itself. However, the property change can only occur through an external action. Props are immutable from inside the component. This means that an internal attempt change the value of a prop doesn't work. This is the reason why the setValue() method doesn't work as expected. This code solves the problem but adds duplicate information inside the component. By declaring a prop as mutable you allow it to be changed from inside the component, and then the setValue() method will work. The first thing we notice is the import of the EventEmitter class and of the @Event() decorator. Both are used to define the onRatingUpdated property. This property is an instance of the EventEmitter class and provides a way to generate an event with the same name. In fact, we added a call to its method emit() inside the setValue() method. We also passed an object representing the current value to the emit() method. We simply added an event listener that will show an alert with the new value assigned to the rating component when the user clicks a star. This file contains Stencil specific config options and, among the others, you can find the generic mycomponent name assigned to the namespace property. You might want to change it into a more meaningful name, say for example my-rating. Once you have prepared your build configuration, type the command npm run build to start the building task. my-rating.js: This file is the entry point of our component. collection: This folder is useful when you are building a complete application with Stencil since it allows to share components more efficiently. my-rating: This folder contains the compiled code of your Stencil component implementing a true Web Component. types: This folder contains the TypeScript definitions that may be useful when you use your component in a TypeScript application. After building your component, you are ready to use it in your Web application. As we said at the beginning of this post, Web Components are meant to be natively supported by standard browsers as long as they support the features required by the standard. However, as Stencil produces code to polyfill the missing features, you can actually use your Web Component in any recent browser (e.g. Microsoft Edge). Here we created an HTML page with the same logic we used in the development environment. The CUSTOM_ELEMENTS_SCHEMA allows Angular to ignore unknown tags since they are Web Components. This prevents the compiler raises errors because of the presence of <my-rating> tag in the application's markup. In fact, now you can use this tag in any HTML template. 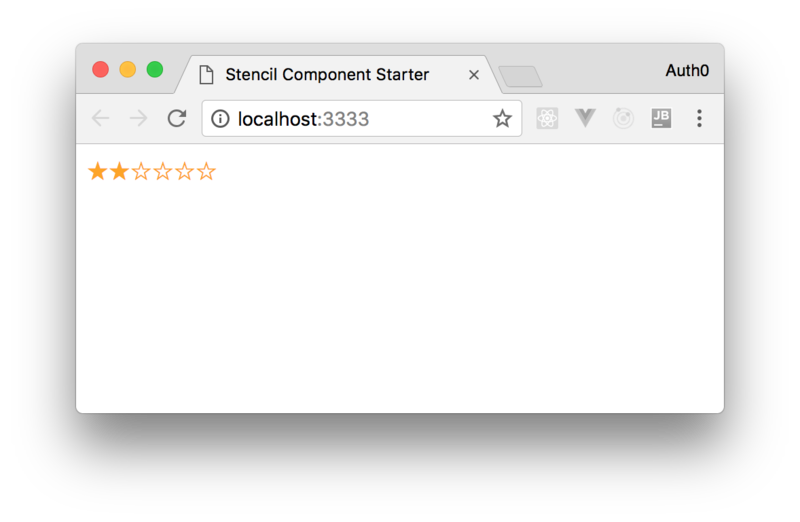 "Using @stenciljs web components with @reactjs and @angular is easy." 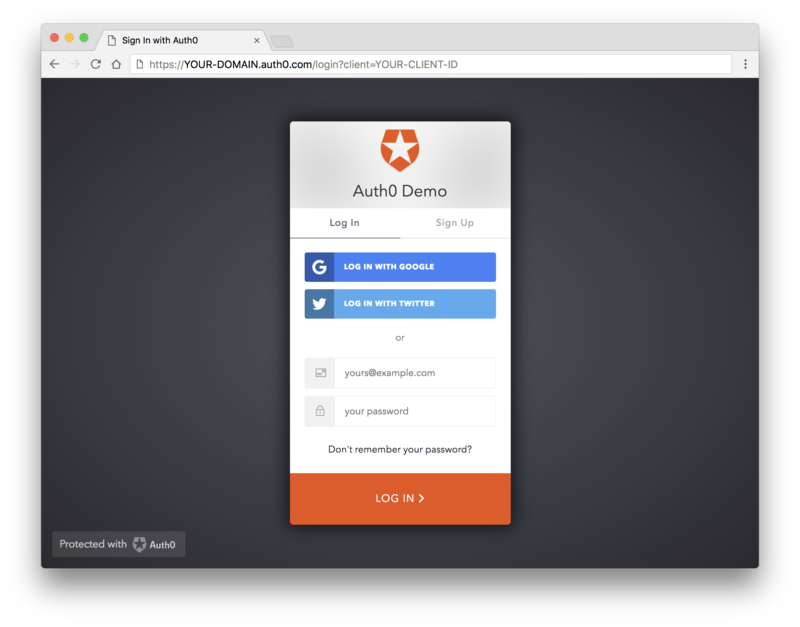 In this post, we explored how Stencil allows us to create Web Component without too much effort. We used Stencil's syntax to incrementally define a rating component: from the definition of its appearance to the management of interactivity. In the end, we compiled the component for using in production and analyzed a few scenarios of integration. The final code of the project developed throughout the post can be downloaded from this GitHub repository.